Gina Masequesmay fled Vietnam with her family shortly after the fall of Saigon. She says coming to terms with strong memories of war has taken her years. Today, she finds solace in walks in L.A.'s Griffith Park. 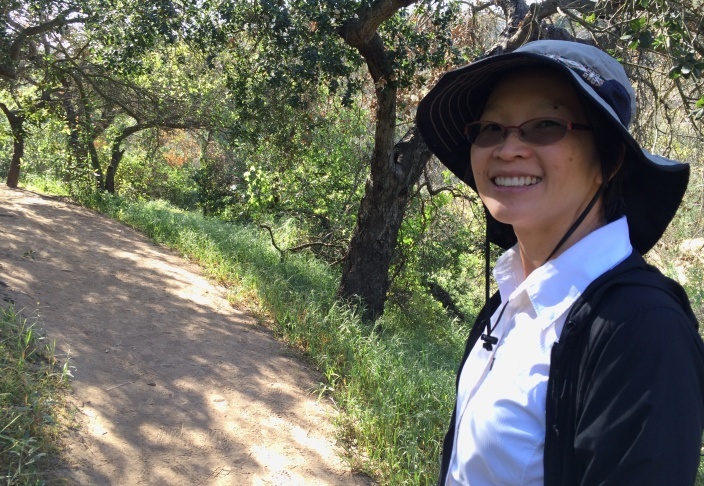 A view from the trail along Griffith Park, where Gina Masequesmay finds "a new perspective" helpful to her healing process. 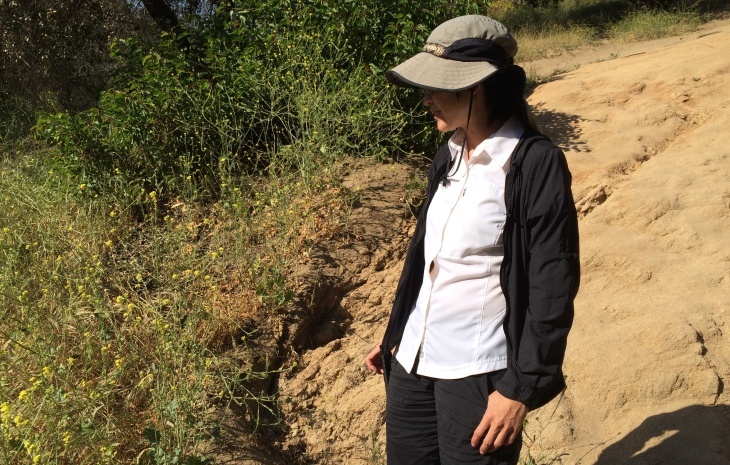 At this point in her "meditative walk" in L.A.'s Griffith Park, Masequesmay says she once spotted a group of deer on a hillside. Tens of thousands fled Vietnam at the end of the war, leaving behind family, friends and the world they knew. Many brought with them memories of the conflict. The often painful and complex emotions presented new challenges to a community still finding its footing in a new country. "The tanks rolling into town, seeing people on the road because they were bombing nearby," said Masequesmay. "We were hiding under a table, just waiting and hearing the shooting and explosions outside." She says those memories haunted her for years. "I just had flashbacks of this and that," she said, noting that the spoken and unspoken tension among family members contributed to the strain. "The anger, the resentment, the anxiety about the future, just a lot of loss." Arriving in L.A., Masequesmay and her family first lived in a housing project in Pacoima. Faced with adjusting to a new place, a new life and a new language, the family was in what she calls "survival mode." Gina strove to get an education and a steady job. It wasn’t until many years later, as an adult, that she first came to terms with the experience of trauma that her family went through. "I would think these crazy thoughts in my head," she said. "I cried a lot, I was really sensitive and upset." The experience, set off by attending a fireworks display in 2001, left her nearly incapacitated. After five years, some close friends eventually convinced her to see a therapist, where she was diagnosed with post-traumatic stress disorder, or PTSD. The regular sessions were helpful, she says, but the big turning point for her came during a visit to Deer Park Monastery near San Diego. On her first visit, Masequesmay listened to the story of a Vietnamese monk, who recounted his own experience of trauma and spoke about how walking meditation could help. After practicing herself, she was led to a question that she says is central to the broader Vietnamese community: "Yes, terrible things did happen, but how do we make sense of that and continue to live, and to continue to live and still find joy?" 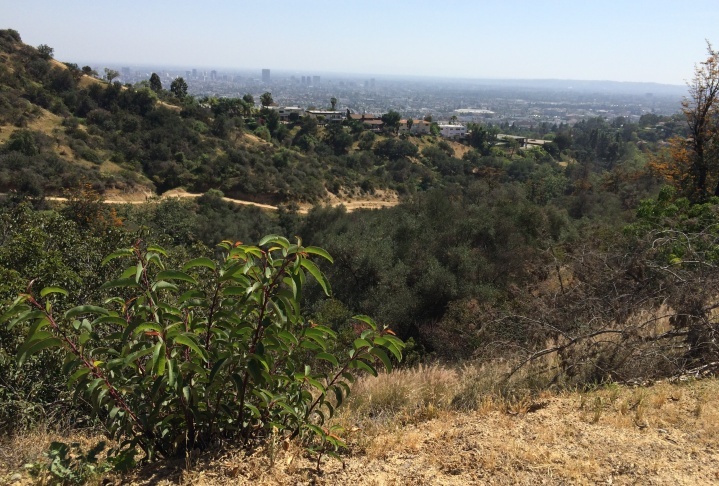 Part of the answer for Masequesmay came during a recent hike through L.A.'s Griffith Park, where she paused while looking out over the city that has now become her home. "You have to begin with yourself," she said. This post has been updated to clarify the sequence of events after Masequesmay's family left Vietnam.